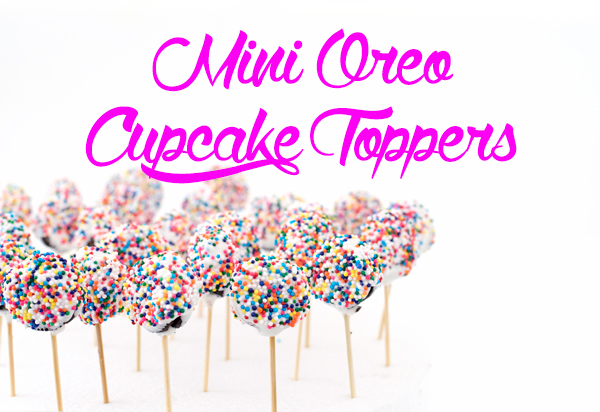 Mini Oreo Cupcake Toppers are the perfect easy decoration for your cupcakes. 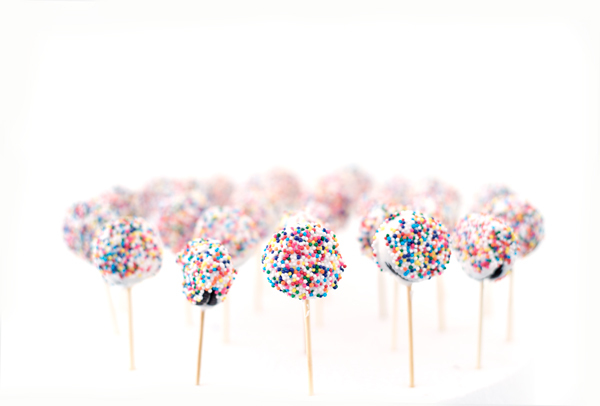 Just dip mini Oreos in white chocolate and cover with sprinkles! 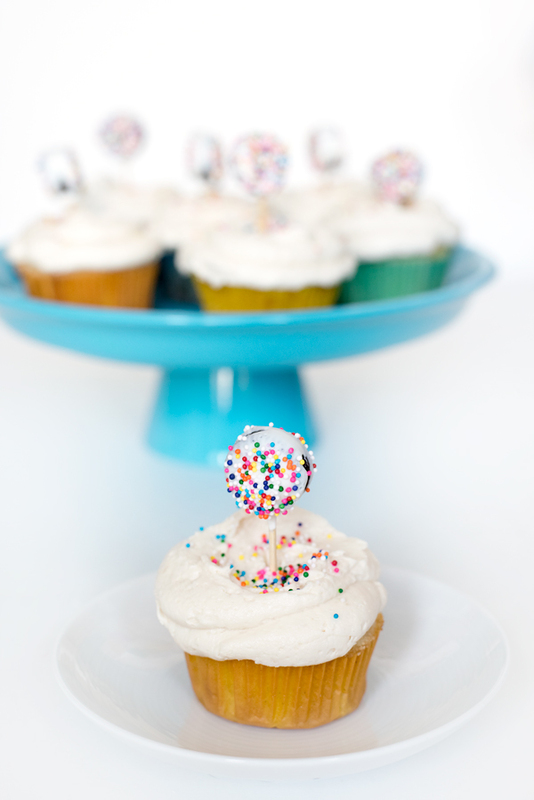 Am I the only one who sees all of these ornate cupcake and cake toppers on Pinterest and feels completely defeated? I love a good DIY, but the idea of creating an ornate paper project to put on a dessert that already took hours to make is a little defeating. Plus, they just get thrown away in the end! 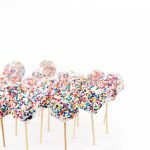 I was making white chocolate dipped Oreos for my recent confetti party and I had that ‘aha’ moment – why not make mini white chocolate dipped oOreosand use them as a topper for my colorful stuffed cupcakes? Thanks so much for reading A Side of Sweet! For more Sweet in your life,y ou can find me on Instagram, Pinterest, Snapchat (@asideofsweet), Bloglovin’, Facebook, or Twitter, or subscribe to receive a weekly email with new posts (see sidebar). Melt candy melts in the microwave according to package directions. Add shortening 1/2 teaspoon at a time to thin out the white chocolate until you can dip an oreo in and remove it easily. 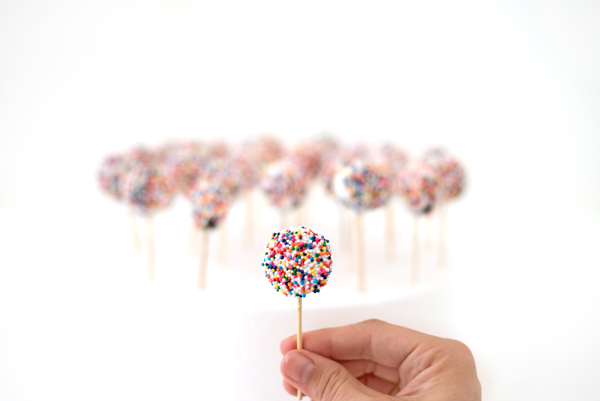 Dip the sharp end of the toothpick into the candy melt and insert it about 1/2 inch into the mini oreo. Do this for all of the Oreos and then place in the fridge for about 15 minutes to harden. Remove mini Oreos from the fridge and dip them into the candy melts. 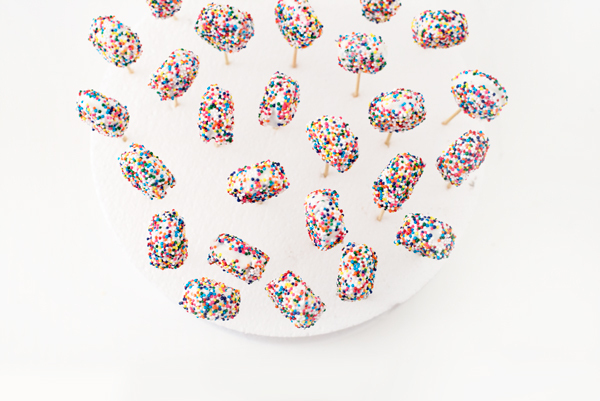 Dip the covered Oreos into sprinkles. Insert into styrofoam block and place in the fridge for at least 15 minutes to harden. Yay! Thanks so much Miranda! Thanks so much Ashley! Hope you get a chance to try them!